Try a 30 day proof of concept free! "Great addition to our tech stack"
I love how easy this was to set up and generate reviews. Patrick was really helpful with the setup and got our campaigns off the ground super fast. I also appreciate how flexible they are with customization and it feels like they really listen to our business needs and do their best to acommodate. My only piece of feedback is that the reporting dashboard could be a little easier to use. I'd like to be able to see exactly how many reviews I generated from Advocately (vs overall) and what campaigns those are coming from. Our business generates a lot of revenue from our G2 Crowd ranking and reviews. This has been a great automated solution to help generate reviews with very little effort from some of our most engaged customers. This quarter we were even named a leader in the G2 Crowd rankings and we want to thank Advocately for all their help with this! "Awesome tool for advocacy managers!" The best thing about Advocately is that once your campaigns are set up, you can forget it. I am sure most marketing teams or advocacy manager in charge of reviews will appreciate this - setting up review campaigns takes time and can be a very manual process. Also, their customer service is great! Very responsive and always willing to go the extra mile to make sure you have what you need. We've gotten a ton of value so far out of Advocately and have seen our review-site scores increase, which is awesome. We have been able to automate and scale review collection for our org, increase positive reviews, and have improved our average review site score. You really can't go wrong if you are looking for a tool to help you scale your online review program and strategy with Advocately. "ROI delivered as promised & a team which goes the extra mile to help me achieve success"
Over the past year, I've been so pleasantly surprised to see how well Advocately was able to deliver on the promise/value they offer. Patrick and his team are 100% committed to helping me hit my goals, and work as real consultants to guide, support, and optimize things along the way. From the fast and high level of support, to the success of their product, I am happy to recommend them to any other company looking to surface client satisfaction. Nothing I can think of, very satisfied. Work with the team to understand your goals and get their input - they've got great knowledge and are good consultants to bounce ideas/tactics off. Providing a systematic way to let our clients and users speak about their experience with our software. Advocately has been the backbone of this strategy and we've seen a great (and fast) return when it comes to new inquiries and overall brand perception. "If you don't have Advocately, you're missing out..."
The attentiveness, patience, and genuine interest from Patrick and his team is unparalleled by other vendors. You will not find better service. They are very committed to helping their customers get the most out of Advocately. I also find the capability of the platform very impressive — it is able to actively assess and document new reviews across various review sites. This totally eliminates the headache of tracking new customer input. Best of all, though they are totally open to feedback and making improvements. At times the UI has been finicky depending on what screen I'm using. However, they have made improvements, and the functionality has always been quite impressive. Advocately has supplemented our Demand Generation efforts on an array of major review platforms, while also giving us faster, easier access to insights on customer satisfaction. Better yet, it seamlessly bridges the gap between the needs of our Marketing and Customer Success teams. It is a POWERFUL tool. Many thanks Evan! I sincerely appreciate your feedback. Working with you, Darryl, and the rest of the VanillaSoft team is a pleasure. I'm excited to take your results to the next level shortly. "Great Slack and Salesforce Integration! " Syncing customer reviews to Salesforce is a must have! We were able to easily build our reporting and workflow rules to help run historical review metrics and manage follow-ups for champions or when users saw friction w/ our platform. No negative points at this time. The rollout and overall implementation have been extremely smooth. Working with Advocately has been great as customer success is clearly centric to their culture. Do a historical sync of review data to Salesforce-- super helpful! We're using Advocately primarily to monitor reviews from all sources like G2Crowd and Capterra. The reviews are automatically sent to Slack for immediate notifications to account owners and logged in Salesforce. It has aided us in continually improving our review benchmarks by actioning feedback to follow up with reviewers. As we prepare our next review campaign, I hope that we'll uncover more customer champions. "Advocately is an advocate for your customer experience"
There are many parts to love about advocately - the clean design, the aggregation of review sites, but most importantly, the service and support we get from advocately is the real kicker! Advocately helps you, as you know, get a list of all reviews of your product. It takes the drudgery out of finding and updating your review list and helps you focus on what you do best: creating a world class customer experience and getting your customers to "advocate" for your business! There is not anything I dislike about advocately. They have been a wonderful partner in our review gathering process. The service works well, there has been no down time, and it has been a boon we didn't know we needed! The only thing, if I had to put a dislike (and it isn't even bothersome) is that it can't get some reviews from places like twitter and facebook. But that is such a small thing compared to all the pros! Everything about this app is a breeze and straightforward. Most importantly, the CEO is the most approachable, kind, and engaged dude you will ever meet. He really listens, incorporates feedback, and is making a world-class product. The support and service alone is worth it - it helps, too, that the app is so thoughtfully and considerately designed and executed. We get a ton of reviews because we aggressively have our agents asking our customers to review our product. I don't mean 10s of 20s of reviews but thousands every month. As you can imagine, keeping track of all the reviews, where they come from, where we are at in comparison to our competitors etc is a position unto itself. With advocately, we save tons of time trying to collate and understand all the reviews and focus on our brand and what people are saying about time tracking and our app specifically. It is a huge time saver and helps you spot trends in the word of mouth about your product. Highly recommended! "Get more reviews, case studies, and testimonials with no headache...(seriously)"
Advocately is a super easy to use tool for generating more reviews or any other customer advocacy you're looking for. We funnel our promoters into Advocately and now we have a one-stop shop to start generating automated emails to request case studies or reviews. Our CSMs are able to login as well and get the scoop on what's going on with their customers and request testimonials directly using Advocately's gmail integration. Nothing right now, I hope the best for their growth! We were having trouble generating a lot of reviews to compete with more highly visible companies with advocate marketing in place. Advocately was able to automate all of that and stop us from asking people for reviews that already reviewed us. They also offer great support and advice on NPS and all things review related. "Amazing tool for getting high quality customer reviews"
I love that Advocately is an end to end solution. It uses NPS surveys (which it provides within the product) as a hook to find your customers who are promoters, and then guides them to leave you more 4 or 5 star reviews. 1) The obvious one is getting more reviews online, which means more leads when a prospect is looking at your product vs. competitors. 2) You learn a lot about what your customers love, and what pain points you are solving, from reading their reviews. This is probably the biggest benefit for us, nobody can articulate the value received from your product better than a customer. The reviews we get help us understand what our customers value most about our product. 3) Neutral results and detractors are also hugely important. Advocately helps us find areas of improvement by identifying and speaking with customers who are not 100% satisfied with our product, in an effort to make our product better. 4) Advocately integrates with tons of other tools! We use it with Intercom which is the hub our customer information, so we know we are connecting with the right customers all the time. There is nothing that I dislike about Advocately. Ironically enough, understanding our customer pain points is a big pain for us. For some users, Advocately's big benefit is driving more leads from great online reviews. While we also benefit from that, our BIGGEST benefit has been receiving high quality feedback from our customers as to what business problems we solve for them. No other method we have tried has given us clear feedback the way Advocately has, and it has helped us understand our customers in ways we couldn't before. "Incredibly simple, but powerful tool to acquire positive customer reviews"
Based on SatisMeter NPS, Advocately absolutely geniously helped us double the number of positive reviews in Capterra for just 1 month. We love personal attitude and great service. The system is easy-to-use, we enjoy UX. We look forward to bringing new reviews about Mailigen. Because review websites and reviews are one of the best traffic sources for us. I have nothing to say here. We are wishing good luck and future growth for Advocately. It always was a problem how to get reviews in different review websites. We were trying to ask our loyal clients to write their feedback in certain resources, but didn’t get much from this experience. I think Advocately is smart solution for any business. It is not limited campaign, you are getting positive reviews from your clients all the time and only from those, who rated our service 9 or 10. It is very instrumental in managing your campaigns by providing flexible features. I absolutely love how easy it is to import your contacts, grow out your connections and scale the progress through this. It works well on all the devices and is an overall excellent interface. It is very new and does not have features to get receptive feedbacks. However, it has been very helpful and we have enjoyed using it greatly! I highly recommend this for campaign management and marketing. We have used this to reach out to potential employees and promote the e-learning and physical tutoring campaigns through this. It has been very helpful in growing the network and improve the PR. "The Best Way To Generate Product Revies"
This helps generate customer review and help new buyers trust your business by reading customer reviews. This helps increase revenue since new buyers can make guided decisions about the product been revied. It has nice analytics which helps analyze customer reviews and makes it easier to estimate ROI. We also get feedback by analyzing customer reviews. You can also share refferal links to get more reviews. It's been working well for us and we have been able to scale up since customers can read user reviews and trust us bettter. No dislikes at all. Generate revies and help new customers make guided decisions about your product or services. We closed more deals since customers now read user reviews and trust us. "A great tie in with net promoters"
Advocately helps us to automate the process of reaching out to get reviews from customers that love our product. Another feature I like is the ability to explore which users are our net promoters. This is much potential to continuously refine our market segments using this tool. There isn't anything I dislike at the moment. The product solves one problem and solves it well. Having such focus is a breathe of fresh air from other products that try to do too many things but do them poorly. Reaching out to customers that our product has been successful with should be an ongoing process. Advocately takes away the load and helps us to automate the process. This has been really helpful in consistently getting advocates from our customer base to review our product. As net promoters, they are often more than willing to help us promote our brand by leaving a review. "Great tool to get you more reviews. Fantastic Support." We came across Advocate.ly as a suggestion from friend to try it out for getting more reviews on websites like G2 Crowd, Capterra and GetApp. We tried it out and the tool has been awesome. The team is small but really nimble and are updating features really fast. Patrick has been super responsive and helpful in getting tasks moved and implemented. The team is very hands-on in providing demos and help us implement the necessary campaigns. There is not much to dislike about the tool. The tool is at an early stage and will grow into a better shape in the future. With Advocately, we have been able to scale up reviews on different review platforms. Definitely helpful tool. "An essential component of your advocate marketing stack"
A simple idea, with brilliant execution—what if we were able to drive customer advocacy simply by ASKING? Advocately makes it simple to automate reference and referral asks from your engaged customer base via personalized outreach. It would be fantastic to see more robust reporting options and the ability to add mobile app store monitoring, but Patrick and the Advocately team has been very responsive and helpful when it comes to finding workarounds for these problems. Review sites are an essential part of the buyer journey, and by using Advocately to drive customer reviews, we've been able to double our review volume, vastly outpacing our competitors, and even appearing as the sole market leader in a G2Crowd matrix released earlier this year. "New to advocate marketing but am now a believer"
At Saleswhale, we are new to NPS and getting customer reviews on G2 Crowd. At first, I was concerned that it was going to be hard to get all these up and running manually, but Advocately has made getting setup a breeze for us. And within the first day of getting setup on Advocately, we ran our first NPS survey, got dozens of responses, which Advocately then automatically reached out to - and we got our first 5 star review on that day itself. Support from Patrick has been top-notch, and he was very patient and helpful in walking us through the entire process from start to finish. I was about to say lack of Slack integration until Patrick showed me that they have built it in, and got us integrated. They move fast on the product and engineering side - and I look forward to seeing more features from the Advocately team. If you are a B2B SaaS company, seriously, just use it. For a startup of our size, it would have required a lot of manual work to get to where we are now with Advocately, and we managed to get so much done within a short amount of time thanks to their platform. "Advocately has changed how we take reviews!" I used to go through a lot of steps to get reviews. I was probably spending 5-6 hours a month to get reviews. There were so many manual steps and we would barely get any reviews out of it. It always felt worth it because our Brand and reputation is very important to us. Now, with Advocately, I just set up campaigns and they take care of the rest. We initially tested it out on 40 users and within that we produced 20 reviews!!!!! The same subset of users would probably would have produced 2 or 3 reviews within my old process. Also, the support has been amazing! Patrick has extremely helpful at setting us up and guiding us through the onboarding process. He has been very flexible in the hours he has helped and I've always very quickly got a response to questions. It's a newer product, so I feel like initially there's a bit more hand holding to get onboarded on the product. Saying that, the support was amazing and Patrick helped me get fully up and running very quickly. It's changed how we get reviews. Simple integrations with other products and great support. A lot of manual work to get a very small subset of reviews. I was spending too many hours a month to get a very small amount of reviews, but with Advocately I've been able to get way more out of less work. It's saved me so much time! "Advocately has made creating an advocate marketing program a breeze." As a Community Manager I am responsible for crafting and executing our advocate program. Perhaps the most challenging aspect of creating an advocate program is finding the advocates. Advocately has eliminated challenge. The advocates, through Advocately, came to me! Not only do I now have a growing list of advocates, but I am able to see exactly what they love about our software. This enables me to push feedback to the marketing, development, and customer success teams so that we can enhance what people love. Aside from the actual product, Patrick and Lachlan are amazing. Support, response times, and personality are all 10/10. You guys rock! There is nothing to dislike. As Advocately is relatively new, the features will continue to grow with the feedback of users. Just do it. If it doesn't have every feature on your wish list just let the Advocately team know. They are so receptive to feedback and customer insight. Getting good reviews isn't easy. It takes time, consideration, and often gets pushed aside by other projects. Advocately does the asking and consideration for us, so that it doesn't get pushed aside. Along with the massive help Advocately has provided me with our advocate marketing plan, it has also enhanced our SEO efforts. Many of the organic search results we obtained are fueled by customer reviews. Social proof is a HUGE influencer in our marketing efforts. Another extremely important aspect of Advocately is that we are able to identify our users who don't love the product. This gives us the opportunity to reach out to provide further support so that they can learn to love our software. As a company is it SO important to listen to what users experience and Advocately makes this so easy. Advocately has provided us on the best insights to run our NPS campaign and to generate the reviews that are essential for customer advocacy in the SaaS solutions industry. They identified what works best for us in terms of getting a favorable response rate from the NPS surveys and we really have moved forward from there. Advocately ihas been working with us with a Tailor Made Approach to our NPS Campaign, and this is not something which is readily available. Most NPS Products in the market are just products with limited advisory on best practices, organizations will need to invest time to find the best way to implement their campaigns successfully. What Advocately can bring in the future to their clients, are stellar examples of NPS campaigns execution. We wanted to be able, in the first place, to have a suitable medium to be able to encourage customers to provide us with their NPS scores and that was achieved. "Automate your reviews, saves you tons of time, highly recommend!" Getting reviews is an integral part of any (online) business these days but the process can be very time consuming and hard. With Advocately the entire process is automated which is a huge work load lifted. After the initial setup you just let the system do the work for you, the support is great and the product works like a charm. I can highly recommend Advocately to anyone who relies on reviews! Make sure you know where you would like the reviews to be gathered and set up the platform before you engage Advocately. Reviews are not just good for your online reputation but offer other benefits, like showing star ratings in your AdWords ads, as well. Getting these reviews is a part of any good digital marketing strategy but usually is very hard to get rolling, Advocately takes care of this process for you and saves you tons of time and effort. Advocately facilitates a continuous flow of great reviews of your product or service on the top review sites across the web. We have had excellent service and it is clear that Advocately is committed to getting the best results for their clients. They have a vision for this space that I have not seen before, and it is a welcome innovation. This is not a true dislike, but the success of Advocately for us depends on at least one other integrated service, which we fortunately already had in place. The success of Advocately ultimately falls back on quality of your own product or service. Advocately facilitates amplifying your advocates, but you do need to deliver a quality product or service that deserves having advocates. We are finally recognizing the value of having advocates for our product who thankfully already existed, but were not given the opportunity to act as advocates. Having this process be automated saves a significant amount of time vs. any alternative. It is also much more cost efficient than running separate campaigns with each individual review site. "Results oriented - with great customer service." Advocately comprehensively supports customer review generation through drip-marketing, or measured email invitations. Working with our preselected customer lists, Advocately can integrate with leading customer review platforms, such as G2Crowd, to help ensure our target customers are informed of our review request, any provided incentive (like gift cards) and encouraged to bring the review to completion. No dislikes at this time and we intend to reengage. Definitely can recommend. In addition to their service product offering, Advocately provides ongoing consultation on how to maximize success. Not much at this point, we just need to figure out how best to integrate it into our other systems, particularly for our Customer Success team to follow up on the passive and detractor comments. No doubt I'll get the help I'm looking for. We went looking for a way to garner more reviews as they were severely lacking. We had cobbled together a fairly clunky and manual process and were going to roll it out. However, as soon as we found out about advocately, it all made sense. It's a well thought through workflow and it's very unobtrusive for our clients. "Easy to setup, generating reviews on autopilot!" The setup of Advocately is super easy. It's just a matter of connecting a couple of tools we were already using and we were ready to go. "Simple, convenient -- it works!" Makes it easy to generate more product reviews for our SaaS tool. It's very easy to setup and follows a logical process. Our tool is multi-language and this is easily supported with Advocately. Nothing really. While their team is still building out new features that will may eventually become "core" to their platform, it already does the basics of what we need and their team is very responsive when helping us with additional needs. Generating more positive word of mouth marketing through software reviews. "Advocately have been instrumental to our review strategy"
The end to end service and process has been the highlight to my experience. Advocately has ensured our success by assisting us with implementing our review campaigns. They've consistently optimised our process to achieve our goals. There is little that I dislike. Understanding exactly what each of the features means and the flow between them has been my only slight hindrance. If you're a Saas company focused on growth, you need Advocately in your sales and marketing stack. We've been able to effectively scale our review processes by encouraging our promoters to share their experience on various review websites. Previously this was a very manual exercise to connect and remind our promoters that we'd love their support. Now with Adovately we can politely reach out and explain how they could really help with our growth success by leaving a review of their experience. "Empowering our reviews and "
Being in Customer Success, it is extremely important to know how your customers feel about your product and service and getting constant feedback is absolutely necessary. With Advocately, we get an all-in-one platform that gives us the data we need to help us engage better with our clients. I really can't think of anything right now. This has been a fantastic tool for our Customer Success team to get insights about our customers. It's very easy to setup and the team at Advocately (especially Patrick) have been completely hands-on with the implementation, which has been truly amazing for us. Its clever design and leveraging of NPS promoters. Nothing comes to mind. Advocately is quite impressive. Advocately allows us to engage our NPS promoters in a way that celebrates both their success with our solution and the advantages of our product. We also love how Advocately goes above and beyond the call for user feedback and support. "Thanks to Advocately we have over 300 reviews online "
I like that you can run different campaigns and segment the lists using sfdc data. I love the slack integration and I like the fact that it runs in the background and I don't have to think about it. There is powerful analytics that can be pulled from advocately and visually presented in the dashboard. 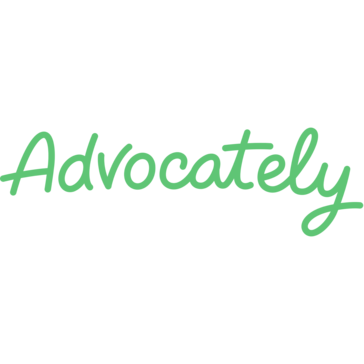 Advocately has helped us scale advocacy by generating more than 300 reviews and launching our first advocacy program. "Advocately has driven amazing results for our business"
The support, and the experience the Advocately founders bring in having done exactly what Advocately promises for a SaaS business just like ours. The offering is spot on, and simply works. Nothing at all. It's all good, an outstanding offering. Follow their advice. They have a playbook that generates proven results. Convincing our most loyal customers to leave detailed 4/5 star reviews on the platforms that influence customer acquisition, at a volume that makes a real difference. Sending personalised emails via gmail to our "promoter" customer base in the background with little input from us. Nothing to dislike. It works well for our business and the onboarding was done via a 1 on 1 webinar. Getting more brand awareness by prompting our promoters to leave reviews. "Simple set-up with fast results"
Advocately has heavily increased our online customer reviews through friendly effective campaigning. The set up was so simple, their integration specialist had us live after having had 1 call together. So far we have been using Advocately for a few months and we have no complaints. We now have regular reviews being submitted about our product. And most importantly Advocately ensures that we do not ask the same person to review us twice. The reporting and support. They can improve the effectiveness of each campaign and allow you to tailor your review requests to different client segments. Sometimes it can take a few days for Advocately to capture a review that has been made on Capterra or Xero. I used to perform similar review campaigns manually, this has allowed me to automate the process and save hours each week. "I am an advocate for Advocately!" We are getting our promoters to write reviews online and refer their friends at an extremely high rate! We can link the results from this back to revenue. Nothing right now. I'm excited to see how the Advocately platform develops. Our customers leave us awesome reviews and refer their friends. "Awesome product, easy to use, great service and an amazing idea! " Advocate.ly is extremely easy to use. Patrick was very helpful in setting us up on the platform. The integration and set up was quick, templates were provided to get the best result. Everything is engineered for our success, i am very happy with the platform. I've not yet found anything i dislike about advocate.ly. We get a lot of verbal reviews and written feedback, unfortunately there is very little which contributes to any platforms. We used advocate.ly to get those reviews contributing to NPS. "Great idea and good time saver"
We were previously using engagement as a criteria for requesting a review (which we were doing manually). The blend of using NPS along with the automation Advocately provides means we are getting a higher volume of higher quality reviews for less work. Very little. The product is currently quite feature-light but the future is bright and loads of potential. Building an advocacy programme is hard. Advocately has had an immediate impact at a reasonable price point. "Awesome tool to collect your product reviews! " Easy to setup, Best Support and good pricing! Nothing as such. Started using this tool a month and feeling really good about the way it has brought in reviews. Awesome product to boost up the number of reviews. Go for it! Reviews on various market places! Listings have improved and number of reviews have increased! Advocately is very easy to use and we’ve received outstanding support from their team. It helped us understand our customer’s requirements better. We were able to see results in just a few months! "Advocately is a great tool for NPS and customer surveys"
Slack integration & clean UI. Reporting was easy. Creating and sending new surveys could be more intuitive. Having to log into Account Details to create and send surveys is not ideal. We were able to grow the number of online reviews on Capterra quickly and efficiently. Using NPS, we were able to gauge the level of satisfaction of our customers, and quickly address priority issues. Advocately helped us reach out to our top promoters and helped build out our reviews across our different platforms. We wanted to find better ways to reach out to our NPS promoters and to get reviews on app marketplaces like Shopify and Xero. * We monitor all Advocately reviews to prevent fraudulent reviews and keep review quality high. We do not post reviews by company employees or direct competitors. Validated reviews require the user to submit a screenshot of the product containing their user ID, in order to verify a user is an actual user of the product. Hi there! Are you looking to implement a solution like Advocately?